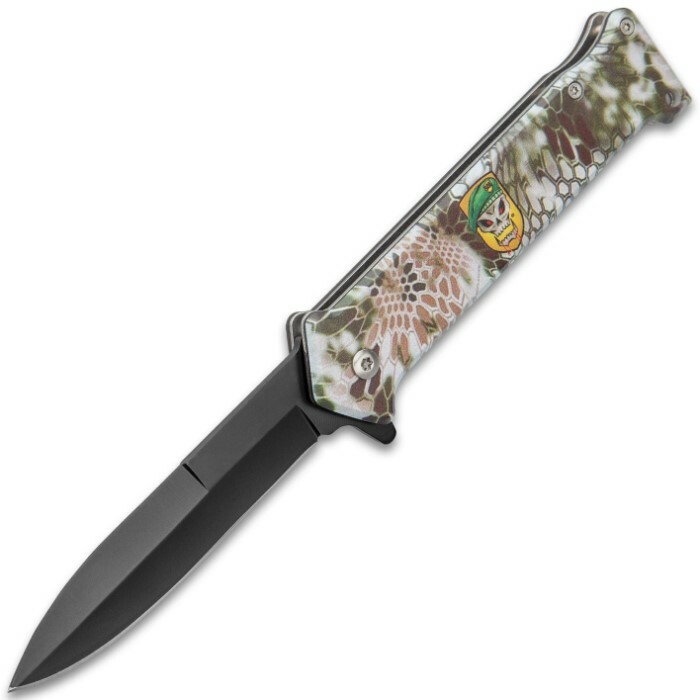 The SOA Vector Stiletto Assisted Opening Pocket Knife is one tough companion to go into battle with! It can get the job done quickly and quietly when you’re under cover of darkness. 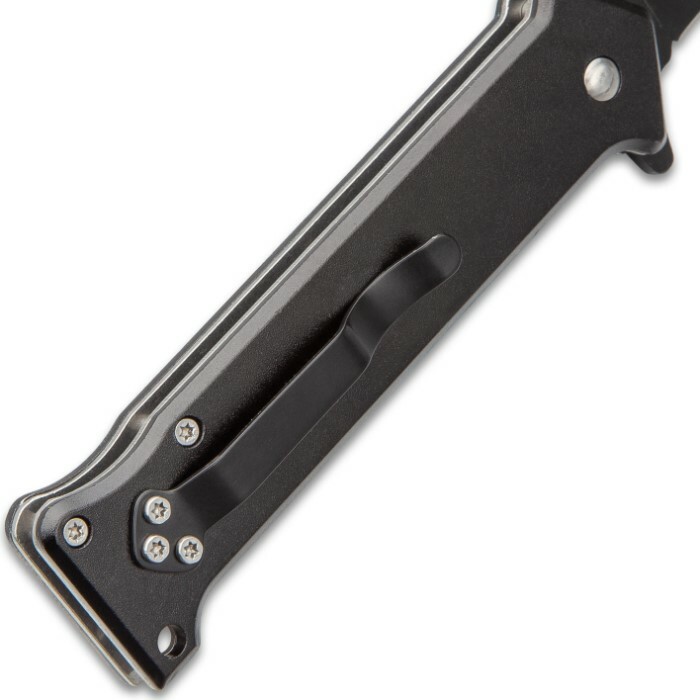 The pocket knife has a razor-sharp, 3 3/4” stainless steel stiletto blade with a non-reflective finish and a flipper for quick deployment. 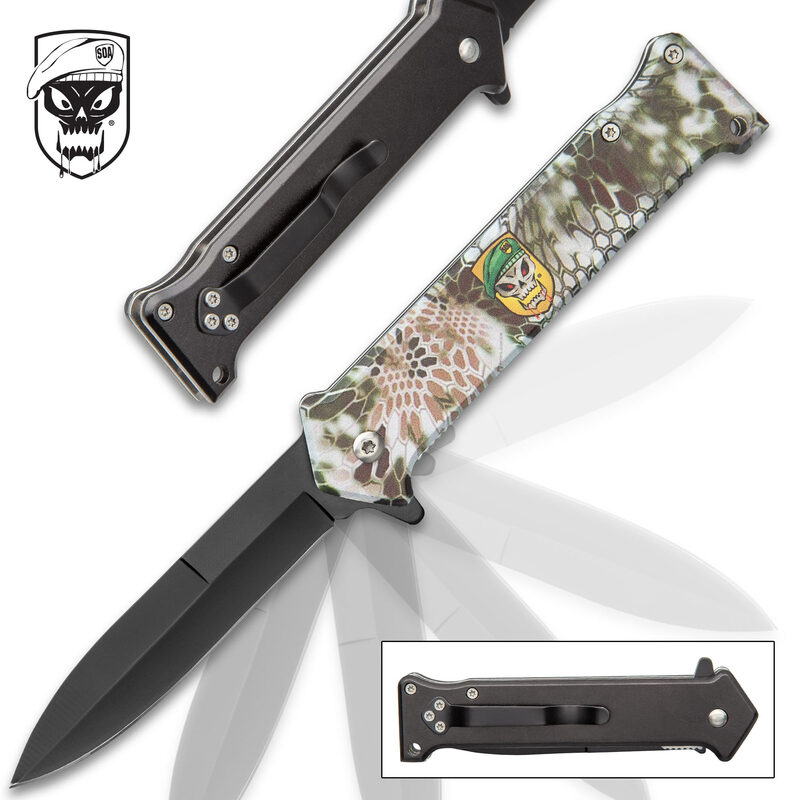 The handle scales are aluminum and printed on the front side is a Vector camouflage pattern and the iconic SOA logo. 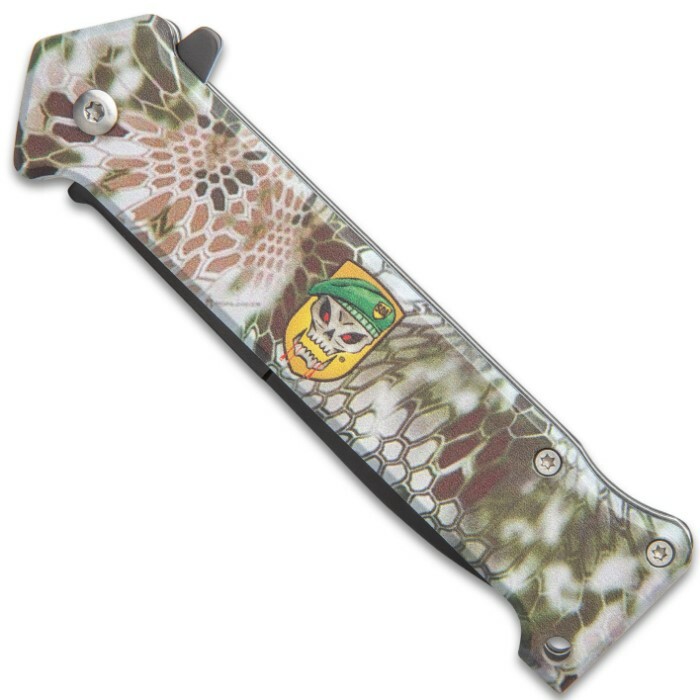 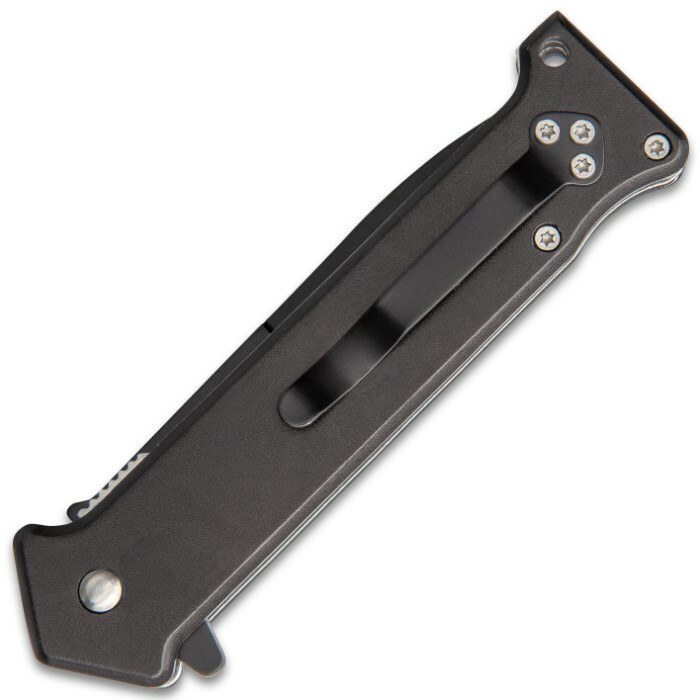 The assisted opening pocket knife has a closed length of 4 1/2” and it has a sturdy metal pocket clip for ease of carry.